The Jigger machine is one of the most important machine for textile bleaching & dyeing . This machine use for fabric Desizing. Scouring. Bleaching. Dyeing & after treatment of fabrics. Today textile segment need low capital investment, low maintenance cost, low running cost machineries. 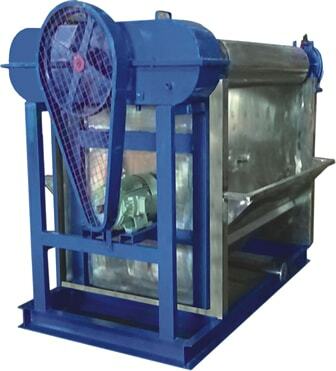 We have develop the Jigger machine for consist result from batch to batch, month to month. The main rolls are made for stainless steel pipe for better life. Both side wall are made from stainless steel sheet. Tank is made from stainless steel 304 quality & 2.0 / 1.5 mm for low maintenance cost. The differential gear bevel in the gear box manufacturer special metal duly case hardened fitted with gun metal bush for long life. The floating device balanced with 2 SS guide roll running on Hylam-bush. Break drum specially metal ratchet brakes with proper brake liners control. Inverter drive for low running power saving.